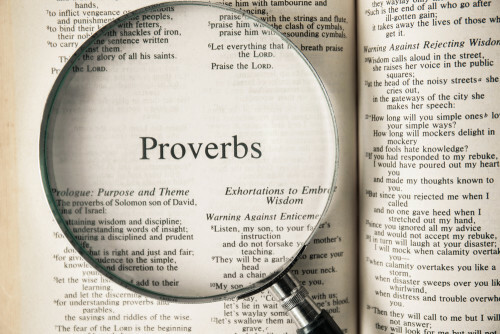 A verse by verse study of PROVERBS, the Book of Wisdom, written by King Solomon, the son of David, King of Israel. The book of Proverbs literally means to rule, have dominion, and superiority in mental action! These are great Sunday School Bible lessons that equip the Body of Christ to be all, and to have all, that is contained in this book.. In preparation we encourage you to spend time in prayer. Pray for God to open your heart and mind to receive “truth” that the Holy Spirit wants to impart to just you. Listening to the Word of God is profitable for ALL things. We pray God’s blessings upon to be able to absorb these valuable teachings taught by Pastor Vic. These teaching stretched over an entire year period.